Happy Monday, lovelies! I had a spectacular weekend, and I’m ready to rumble this week. Yesterday, I felt the urge to watch a friend’s church online, and just like the old days, the Word was just for me. The sermon was based on Exodus 13:17-18, and it was about how God wouldn’t lead the Israelites through the shortest path because they wouldn’t have been ready for war with the Palestinians and how God may take us a longer route, but long isn’t wrong. The sermon conjured up all types of thoughts not only about my life and the path I’m on but also about the black community (but I need to organize those). Anywho, this Our Daily Bread that I shared on 4/4/07 kinda extends my thought process about the sermon. About how my path is mine–I need to stay in my lane and work on what I’m meant to work on and what’s meant for me will be mine. If I swerve into other folks’ lanes, I may shortchange myself. Hope you have a productive week! 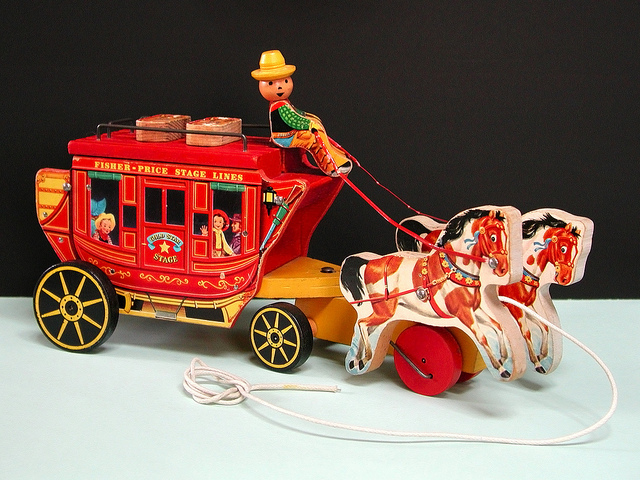 Five-year-old Randy wanted a toy stagecoach for Christmas. While shopping with Mom, he found just the one he wanted. It was about 6″ long and had cool wheels and dark brown plastic horses pulling it. “Mommy, I want this one. Pleeeease!” he begged. As young children sometimes do, he threw a tantrum, insisting that he get that stagecoach for Christmas. Mom said, “We’ll see,” and took him home. Randy was sure he’d get what he asked for. Christmas morning came, and he opened the package confidently. Sure enough, it was the stagecoach he had begged for. He was so pleased. But then his older brother said, “You really did a dumb thing to insist on gettingthat coach. Mom bought you a much bigger one, but when you begged for that little one, she exchanged it!” Suddenly the small stagecoach didn’t seem so appealing. Sometimes we’re like that with God. We pray about a specific need and tell Him how He ought to answer. We beg and plead—and God may even give us exactly what we ask for. But He may have had something better in mind. Large asking results in large receiving.